Sometimes there is confusion between the use of the acronyms DWI and DUI in Missouri and Kansas, and for good reason. The terms are used almost interchangeably. Throw OUI and OWI in there, and you have an acronymical nightmare on your hands. If you’ve been stopped and charged for one of these offenses, you may wonder what the difference is among these charges. Laws against drinking and driving vary from state to state. In most cases, the laws are fairly similar, but state legislatures designed the statutes and there are subtle differences which can make a big difference as to whether a DUI from another state will count against you in a subsequent Kansas DUI. Many states use different terminology and legal standards in writing their laws. All of the statutes refer to drinking and driving in some form, and some states go so far as to use two or three of the acronyms to signify a difference in the seriousness of the charges. Kansas statutes read Driving Under the Influence, so Kansas is a DUI state. In some jurisdictions, you may hear it referred to as an OUI, which stands for “Operating Under the Influence”, but the laws remain the same. If you have a blood alcohol concentration level of .08 or higher, you will be subject to DUI penalties. In Kansas, you must request an administrative hearing within fourteen (14) days of being served with the pink form (DC-27) about your driver’s license in order to protect your right to drive in the state. Like Missouri, Kansas is also an implied consent state. Missouri statutes use the term “Driving While Intoxicated,” so the acronym is DWI in Missouri. If you are stopped for driving with a blood alcohol content of .08 or higher, you will be arrested for this charge in the state. Unlike Kansas, you have 15 days from the date you were arrested to request an administrative hearing on those charges. Missouri is an implied consent state, so if you refuse to submit to a chemical test, you are subject to a fine and an automatic license suspension. No matter which acronym you may be facing, the time to choose the right attorney to handle your case is now. You’re facing very real consequences with these charges, and only an experienced attorney can help. 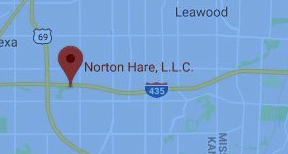 Norton Hare has handled thousands of cases like yours, and we’re ready to help you build the best possible defense now. Contact us today to learn more.